H2O a two parts hydrogen and one part oxygen, which is commonly known as water is an essential element to human’s health. Water primarily prevents dehydration. It ensures our survival. We may survive without food for weeks but can’t go without water for even just a day. Drinking a minimum of two quarts or eight glasses of clean water a day is an ideal amount of water a person needs to maintain a high level of health. About two thirds of a person’s body weight is composed of water. Dehydration occurs when you lose water more than you are taking in. Even a 2% drop in body’s water supply can cause mild dehydration. 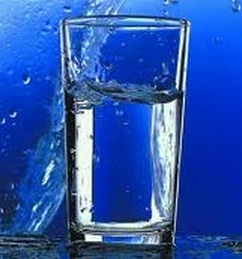 Signs of mild dehydration can be daytime fatigue, headache, difficulty in concentration and dried lips. All the body cells and organs depend on water to function well. The brain is composed of about 90% and the blood 80% water. Therefore, without water the body simply cannot work. Lubricants – it forms the fluid that surrounds the body joints and cartilage. Heat regulator – it regulates the body temperature through perspiration. Detox agent – it is the best way to detoxify the body. It eliminates body waste through perspiration and human waste. It also cleanses the heart arteries through blood circulation. Booster – drinking water is important to be energetic. Water is indeed far the most important nutrient for human body (apart from oxygen). So, it is important to consider not only the quantity but also the quality of water you are drinking. Making sure that what you are drinking is clean water is as important as making sure of your continued survival. This entry was posted in Community Connections and tagged clean water, drinking clean water, quality of water. Bookmark the permalink.